Born on January 11, 1842, Sir William James is known around the world as the Father of American psychology. He was an accomplished philosopher and psychologist, and received recognition for his works during his lifetime. He integrated the tightly structured ideas of his times with psychology to present original theories rich in philosophical expertise. The study of psychology was distancing itself from philosophy and was emerging as a subject on its own during the end of the nineteenth century. 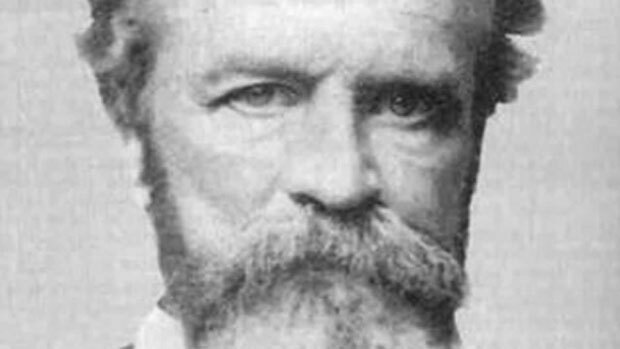 William James contributed greatly to the slow process of developing the science of the mind and established it as a study of states of human consciousness. He also published two of his major works of psychology in 1890s. James also presented the Theory of Self in which the self is divided into two parts; namely the ‘Me’ self and the ‘I’ self. The ‘Me’ self is further broken down into the materialistic, the social, and the spiritual self. James linked the ‘I’ category with what we call the mind, and gave it the name of Pure Ego. The ‘I’ self is essentially the thinking self. Pure Ego is what we call the soul; it is the thread linking a person’s past, present and future. It is not a concept which can be studied through science, according to James. The material self is what physically constitutes a human being. It foremost includes the body. The attire, family and money are also included in the material self of a person. The social self is a person’s behavior which he takes up during various social situations. The more social situations he is put in, the more social selves he is able to possess. Lastly, the spiritual self is what we truly are at our core. It includes our personality, moral values, ethics and nature. It is permanent; taking care of the spiritual self is far more rewarding than the material and the social self. The Theory of Self raised questions about mindful actions and decisions a person makes throughout his life, which compelled him to delve into philosophy. There he studied the truth of ideas not abstractly, but in the concrete results they give, and applied it in the fields of metaphysics, religions, and social philosophy. This study resulted in the development of a philosophical school of thought called Pragmatic Epistemology. Along with Charles Sanders Peirce and John Dewey, William James is considered to be the founder of Pragmatism. The pragmatists believe in the actual effectiveness of ideas and function of a thought should be to describe what already is there. According to Pragmatism, language, knowledge and ideas should be studied for practical usage and problem solving. James spoke extensively on the subject. The collection of lectures titled under Pragmatism is valued as the most powerful book of American philosophy. He applied pragmatism to the concept of truth and said only those concepts should be considered true which corresponds with real things and are thus of some use. He further said that the truthfulness of a concept can be gauged by its purposefulness. A belief is proved right by the role it plays in guiding human beings throughout their lives, and the outcomes it gives. This he called the ‘cash value’ of an idea. Another famous theory of James is the theory of emotion. It is often assumed that the human mind perceives a situation, develops an emotion first, which then results in a bodily response. However, he argues that we first react unconsciously to the situation through physical actions, and then form an emotion corresponding to them. The most significant of William James’s works include the Essays in Radical Empiricism, Principles of Psychology, and Psychology: The Briefer Course. He died on August 26, 1910. It is through his efforts that the philosophical world gained a new branch, and psychology became what it is now.